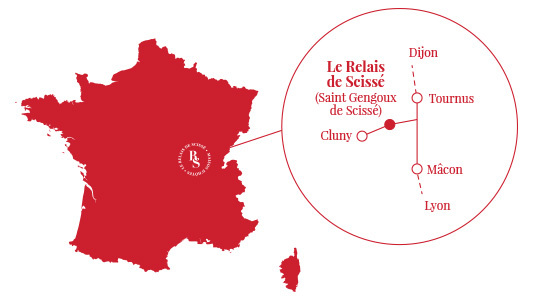 We invite you to feel at home … chez nous ! After 30 years living in the Alps, we felt the need to move and start a new project. The Mâconnais was an obvious choice for both Thierry and Philippe, especially as it is Thierry's childhood home. 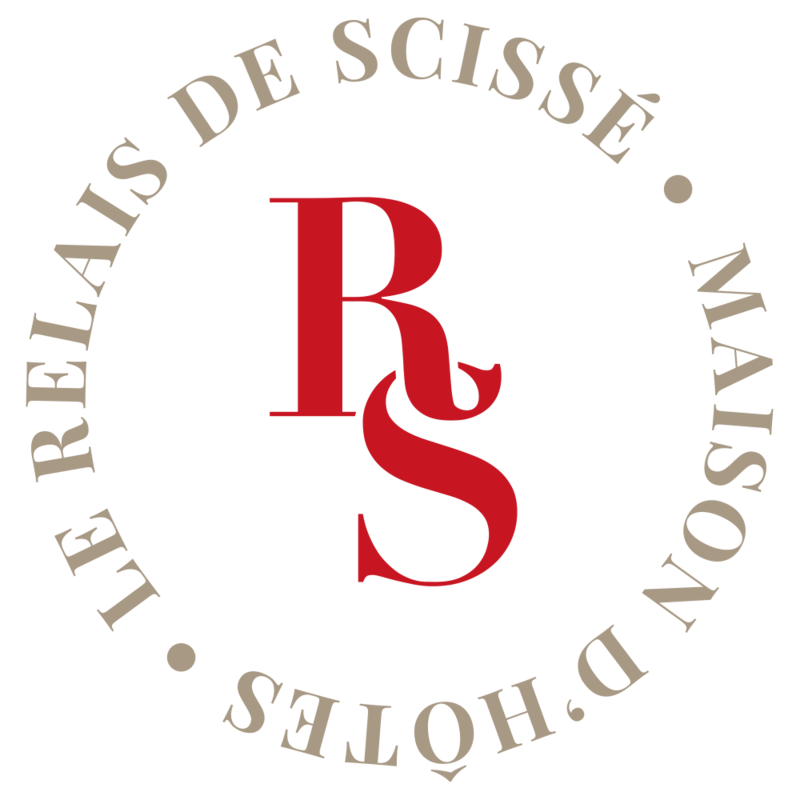 The Relais de Scissé is located centrally in the stunning countryside between Mâcon, Cluny and Tournus, and only 15 minutes from the A6 (Mâcon Nord exit). We will share with you our knowledge and passion for the best of the culture, gastronomy and wines that this area has to offer. We promise you a feast for your eyes and your taste buds! Positioned in the heart of the village of Saint Gengoux de Scisse with 600 inhabitants, this former post house has been transformed over the years into a charming guest house. The spirit of the original 17th century stone-walled building has been retained and enhanced by combining the original architectural elements with tasteful contemporary features to create a lively, authentic, warm and intimate atmosphere that reflects who we are. We look forward to welcoming our guests and sharing with you our love of conviviality and exchange in a friendly atmosphere. Our beautiful garden and a heated swimming pool invite you to relax at the end of the day and enjoy the sun setting over the vineyards. We will be delighted to serve you an evening meal featuring local and seasonal ingredients (by reservation only). Whether you visit us with your partner, as part of a family holiday, or on a business trip, we look forward to welcoming you in a relaxing environment. Find us on Guest and House.